Unrepentant Scribbler: How did you know he was the one? Last week, the Girl!Twin called home from college. I miss having her around, and it was a good talk. I’d posted on Facebook about the day her dad proposed to me, and how I hadn’t taken him completely seriously at first because it was April Fool’s Day. 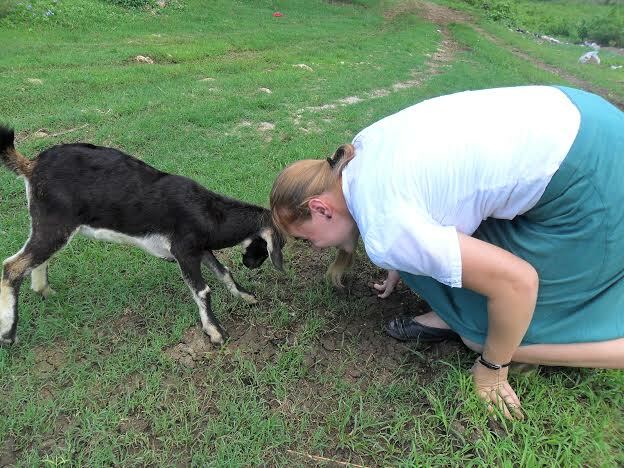 This is the Girl!Twin, headbutting a goat. As you do. One of these fabulous beasts is the Spousal Unit. Looking back, I can’t say there was one defining moment when I looked at the Spousal Unit and thought, Yep, that’s the one. More like a series of moments, when I saw the pattern of our lives intertwining, when I recognized in him someone I’d enjoy being with for the long haul. But there was one conversation early on, which caught me off guard in the best way possible. 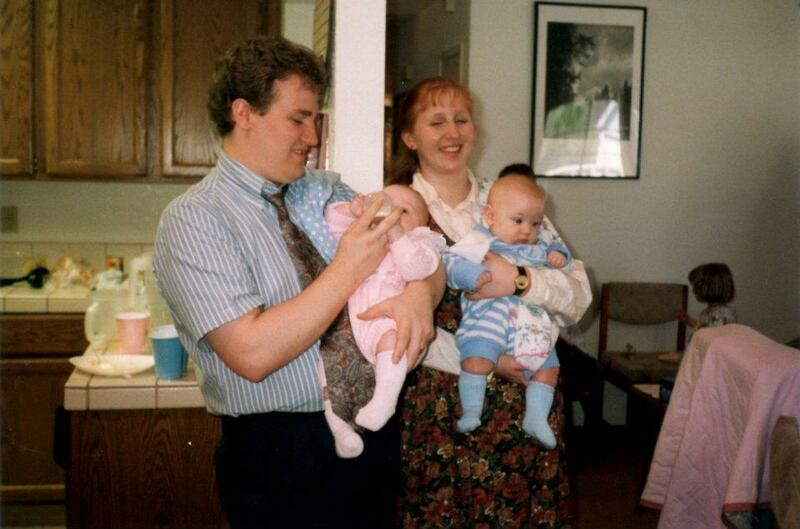 It was late 1990, early 1991, just before the first Gulf War started. The future Spousal Unit were driving around—probably headed out for shakes at that great little place off campus in Provo that doesn’t seem to exist anymore—and discussing current events. I don’t recall what we disagreed about. It wasn’t an argument; I just expressed my opinion, and then commented that he probably wouldn’t want to date me again. Until that moment, I hadn’t realized how badly I needed to hear that from my significant other. I’d dated a few guys before that, some of them nicer than others, but not one of them—not a single one—ever made me feel that the quality of my mind was important. I’d long since decided not to play stupid for anyone, because that’s a horrible way to live, but I’d gotten used to boys politely ignoring that part of me. Having any measurable degree of intelligence was at best the sort of defect that someone could overlook if I had enough acceptable traits. I’d never imagined that holding my own in a discussion of geopolitics might be a selling point. That’s the story I told my daughter. And I said, “The right person for you is the one who loves your whole self.” Too often in life, we accept less-than because that’s how we see ourselves. Even the good parts of us can make some people feel uncomfortable. But that’s not the kind of person you want to wake up next to for the rest of your life. The right one fuels your good ambitions, because they already see the culmination of them in you. It’s good to be loved for being a whole person. We were both fairly intelligent people until we had children, and we've been wrong and stupid pretty much every day since then. True story.